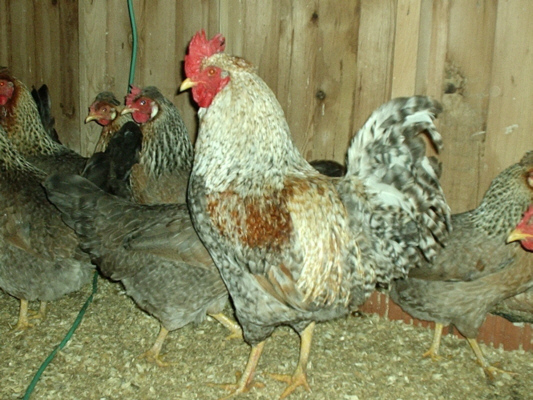 The Cream Legbar, which produces blue eggs, is a cross between the Brown Leghorn and the Barred Plymouth Rock with some Araucana blood mixed in. 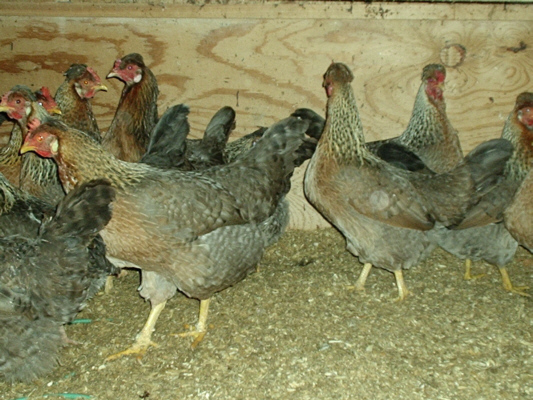 Cream Legbar chicks can be sexed at hatching from the colours of their down which makes this one of the few auto-sexing breeds. 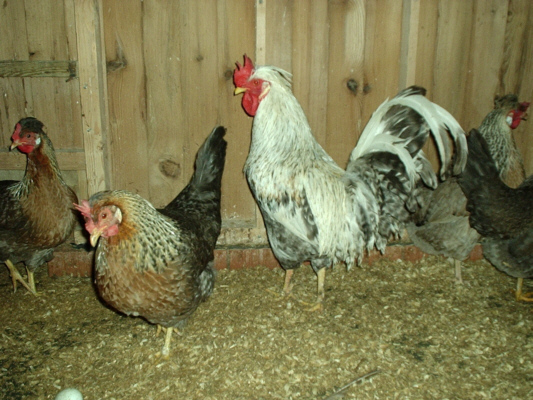 These blue egg layers are very attractive and great to have wandering around your farm, garden or back yard.